One element of Chromeo's music that is hard to put your finger on is the level of irony present in their deliberate nods to cheesy 80's music. At first, it seemed that they were clearly tongue-in-cheek with their music's smooth Yacht Rock references (soaring sax solos and analog synths). But as time went on and they blew up, the line of irony started to blur, especially when they collaborated with Daryl Hall himself. 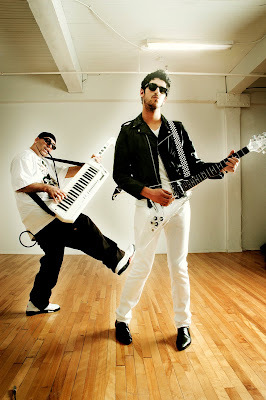 At this point in their career, the Chromeo sound seems pretty irony-free.